It's possible to add a overdrive plugged on output but not funny enought. I want to add a overdrive inside the box with a Jack plug output. 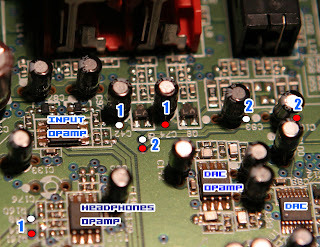 Connecting the overdrive on the RCA output (but internaly) will not allow to get the overdrive on the headphone plug. for my point of view it's better to add overdrive after the DAC, (and before the volume button)so you will get the overdrive on each output (and headphone) but without a schematic i need to search inside the box. I saw that the MC-909 got several similarities in the IC used(especially the dac and op amp), and the MC-909 service manual can be found on the net. Will investigate this way. Here is a quick schematics on how it is organized , i plan to add the Overdrive on the red trace. 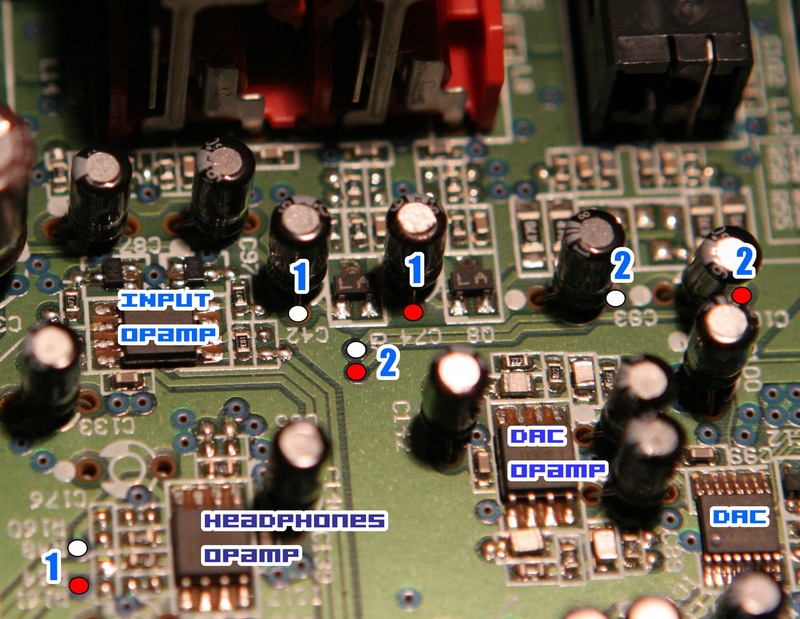 The different opamps and the pint where you should find audio. (white and red. 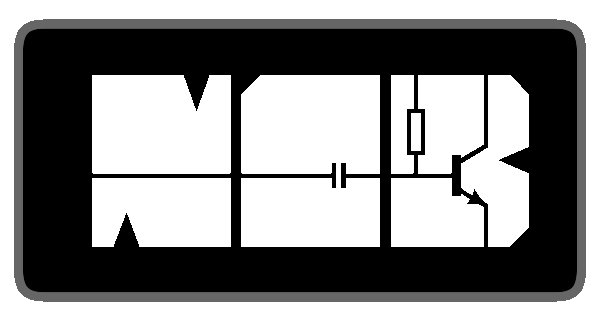 the point marked 1 are after the volume amp. 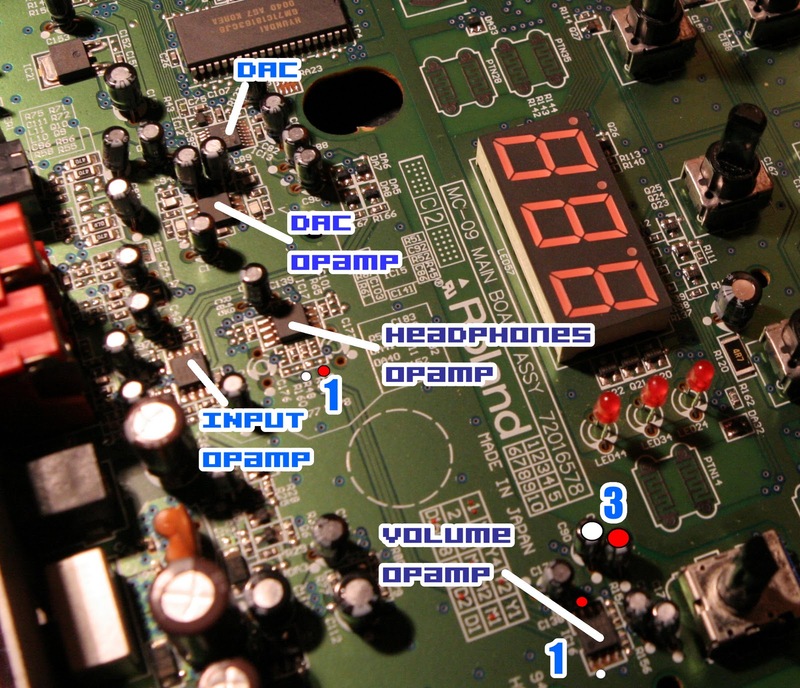 the point marked 2 are after the headphone amp. 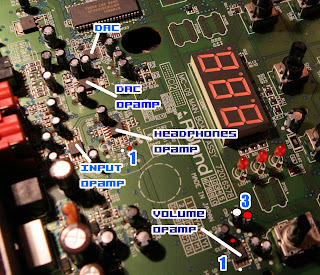 the point marked 3 are before the volume pot, we should replace the 2 caps by the overdrive. I bought this machine 1 week ago (second hand) so i don't know that much about this machine. i was searching dome technical data, teardown or service manual but didn't find it .. that's why i did it myself on this blog. But if i can help to fix yyour Mc-09, i will be happy to reply to your questions. Hello! Did you get success with this upgrade? If you have some pic's after process can you post it.